A new solar system body has been discovered recently. It currently has the not-so-memorable name 2015 RR245. From its orbit we know it is a member of the Kuiper belt. It’s estimated size is about 700 km in diameter, which would it in the category of a dwarf planet. Given what little we know about it, what would make this world a dwarf planet rather than a planet or large asteroid? It is massive enough to be in hydrostatic equilibrium has cleared the neighborhood around its orbit. It has cleared the neighborhood around its orbit. The latter condition is what removed Pluto from the list of planets. The first condition is basically the requirement that they are at least roughly spherical. Objects that only satisfy the first condition are considered dwarf planets. Currently there are five objects the IAU recognizes as dwarf planets: Pluto, Ceres, Haumea, Makemake, and Eris. The smallest of these is Ceres, with a diameter of 950 kilometers. So is 700 km large enough to be considered a dwarf planet? Very probably. In addition to the official dwarf planets, there are 10 candidate dwarf planets. Of these the smallest is Varuna, which has an estimated diameter of about 700 km. So it’s reasonable to consider 2015 RR245 a candidate dwarf planet. Of course the diameter of Varuna is an estimate, just as it is for 2015 RR245. Determining the size of these distant worlds is difficult, because a small bright object would look similar to a larger dark object. The estimated size of these worlds depends in part on their estimated brightness (or albedo). Perhaps a better question would be to ask what the minimum size requirement is for hydrostatic equilibrium. The cutoff would depend somewhat upon the composition of a body, but the IAU guidelines state that objects with a mass of 5×1020 kg and a diameter of 800 km will be considered to be in hydrostatic equilibrium, but smaller object may be considered by observation. This new world is likely below that limit, but the cutoff is intentionally fuzzy. Of the worlds we have a good handle on, Ceres is the smallest body to be clearly above that line, and has a mass of about 9×1020 kg. There are, however lots of moons below that cutoff that certainly appear to be under hydrostatic equilibrium. 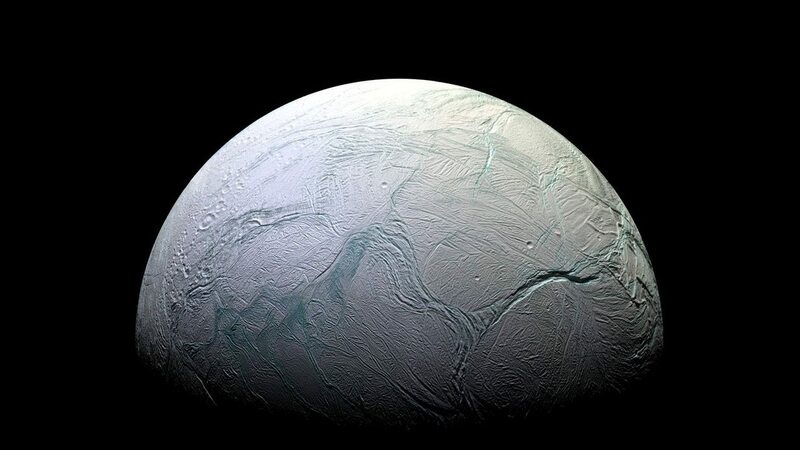 For example Enceladus has a diameter of of only 500 km and a mass of only 1×1020 kg, and clearly has a spherical shape. 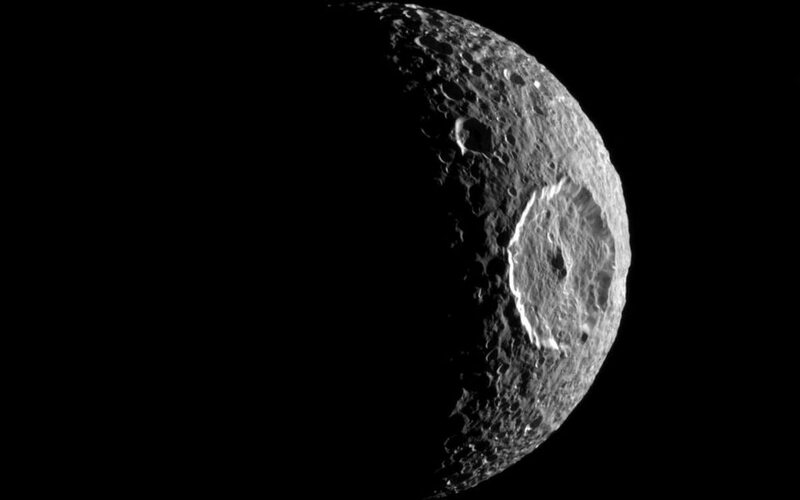 Mimas is even smaller, with a diameter of about 400 km, and has a fairly spherical shape, although Neptune’s moon Proteus is of a similar size and is clearly irregular. Since any distant world like 2015 RR245 could have a similar composition to Pluto and the moons of the outer solar system, it’s probably safe to assume that anything bigger than Enceladus would likely be under hydrostatic equilibrium. So it’s fair to consider 2015 RR245 a dwarf planet. There are about twenty Kuiper belt objects above that cutoff, and that’s just the ones that we’ve found. There are likely more objects further out that are currently too dim to be detected. Question: is Charon a dwarf planet (apparently not)? Is Pluto-Charon a binary dwarf planet (also apparently not)? If two stars, of quite unequal mass, can be called a binary (provided they orbit a common center of mass), why can’t Pluto-Charon be called a binary dwarf planet? The IAU doesn’t have a definition of a binary planet system, otherwise Earth would probably be one too. Earth and the Moon, that is. Well the IAU’s reasoning for why Pluto-Charon isn’t a binary planet system is that the definition of a satellite doesn’t involve its barycentre (an early draft of the 2006 GA resolution added it but was later rejected). The Moon and Charon still orbit around their parent planet, though since Charon orbits a point outside of Pluto’s surface, its classification as a moon has a small asterisk. In a few hundred million years the Moon will be in the same position. The Sun also has more influence over the Moon than Earth does, as calculated by Isaac Asimov. Not by much but it is technically enough to argue that the Moon actually orbits the Sun with Earth. I don’t think it’s been raised at IAU general assemblies since 2006. Given the New Horizons data, it’ll probably come up in 2018. Thanks. This detailed look into the history of how the IAU – the “official” body of all things astronomical – sure is interesting. And rather disturbing: as a field of study that is scientific, and likely more physics-driven than most, the ad hoc and arbitrary nature of its definitions is rather unsettling. The stability of massive objects whose motions are dominated by gravity has been known for centuries, so why hasn’t the IAU cottoned-on to how inconsistent its definitions are? What’s going to happen when a binary, composed of two objects with masses below that of a “star”, is discovered (perhaps a “brown dwarf binary”)? Will the more massive one be called, what, “the primary”? “the star”? And the less massive one a planet? Or will it become, by some semantic jujitsu, a binary planet? How about when an exoplanet system is discovered, in which there’s something like super-Earth and an Earth-mass pair, kinda like a souped up Pluto-Charon? Or even a very distant binary TNO, with each having ~the same mass, and well and truly in hydrostatic equilibrium? How about massive objects which orbit an SMBH (super-massive black hole), such as SgrA*? It will surely be only a matter of time before one with a “planetary” mass is discovered (though discovering any binary planets may take a bit longer)! Or will “planets”, “dwarf planets”, and “moons” (and “asteroids”, “comets”, etc) be limited to what orbits our homestar, the Sun (per the definition Brian posted), or its planets (etc)? Definitions of ranges are hard to do. Neil DeGrasse Tyson has talked about it before, where we have to somehow draw a line between asteroids, satellites, rocky planets, ice giants, gas giants and stars. There’s a lot of grey area between all of those categories. For all the complaints people have made that the IAU’s definitions are arbitrary and unscientific, no-one has come up with more precise definitions. Oh for want of an edit button. Anyway, another part of the problem is sample size. We’ve discovered a good few thousand exoplanets by now but don’t know nearly enough about them to make judgements about their state, so the sample size of planets we can draw from is pretty much limited to the ones around us. Again, by the time the 2018 GA rolls around there might be enough collated data to make a clearer picture. That makes a lot of sense, if you regard astronomy as a purely observational science. However, since at least the time of Newton, if not the discovery of Neptune, astronomy has been deeply influenced by physics. Ignoring physics other than gravity – so star/planet, rocky/ice/gas planet, etc – the orbital stability of systems of masses has been know for at least a century. So what, other than “tradition”, stopped the IAU from adopting a “clearing its orbit”-type criterion in the 19th century? Well Pluto wasn’t discoverd until the 1920s and the Kuiper Belt wasn’t discovered until the mid-90s (though it was predicted to exist). So there was no reason to apply the “clearing its orbit” requirement because no known planet “candidate” was in that situation.